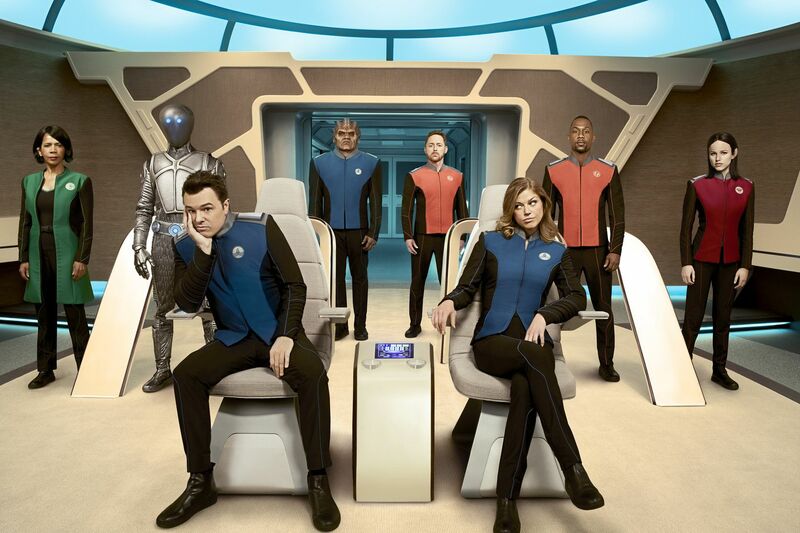 (From left): Penny Johnson Jerald, Mark Jackson, Seth MacFarlane, Peter Macon, Scott Grimes, Adrianne Palicki, J. Lee and Halston Sage in Fox's "The Orville," which returns on Sunday, Dec. 30. The Orville. Family Guy creator Seth MacFarlane’s quirky homage to Star Trek is back for a second season, sneaking in on Sunday to beat the January rush before moving to its regular time slot. 8 p.m. Sunday, Dec. 30, Fox. Moves to 9 p.m. Thursdays on Jan. 3. Love, Gilda. Documentary on the late Saturday Night Live veteran Gilda Radner -- the first person Lorne Michaels hired for the Not Ready for Prime Time Players more than 40 years ago — includes some of her SNL successors reading from her diary. 9 p.m. Tuesday, Jan. 1, CNN. The Masked Singer. Would you recognize a famous person’s singing voice if the singer were dressed from head to toe like a creature from a fever dream? Here’s your chance to find out. 9 p.m. Wednesday, Jan. 2, Fox. Gotham. The fifth and final season of the Batman prequel series begins, and it’s expected that by the end, young Bruce Wayne (David Mazouz) will also be the Caped Crusader. 8 p.m. Thursday, Jan. 3, Fox. The Blacklist. I’m afraid I’ve mostly lost track of this ever-more complicated story — is it true that James Spader’s character isn’t who he’s claimed to be for five seasons? — but I can understand why those who are still hooked on it will need a two-night season premiere to become reacquainted after a longish absence. I’ve seen only the first five minutes, but Spader, whoever he’s playing, is as entertaining as ever. 10 p.m. Thursday and 9 p.m. Friday, Jan. 3 and 4, NBC.